Hiding out somewhere in Afghanistan, Osama bin Laden must be a happy man. U.S. officials have identified him as the principal suspect in the disasters visited upon the World Trade Center and the Pentagon. And there are several reasons why. Hiding out somewhere in Afghanistan, Osama bin Laden must be a happy man. U.S. officials have identified him as the principal suspect in the disasters visited upon the World Trade Center and the Pentagon. And there are several reasons why. First, the operation required recruits sufficiently well-motivated that they were prepared to commit suicide. Bin Laden’s group, Al Qaeda (“the base”), employed suicide bombers in the 1998 attacks against two U.S. embassies in Africa and in the bombing of the USS Cole in Yemen eleven months ago. Tuesday’s attacks also required pilots capable of flying jets into their targets. And Al Qaeda has actively recruited pilots capable of flying such planes; in 1993 the group even purchased a jet in Arizona, which was flown to bin Laden’s base, then located in Sudan by a pilot the group had hired. 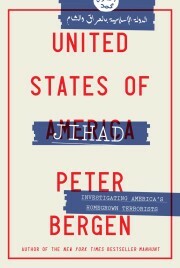 Al Qaeda also has a long history of attacking U.S. government buildings and military targets. And bin Laden himself recently indicated that he was planning to attack more Americantargets. If bin Laden is indeed behind the worst act of terrorism in American history, it would be the culmination of a crescendo of anti-American attacks undertaken by his network in the past decade, beginning with the 1992 bombing of a hotel in Aden, Yemen, that housed U.S. servicemen. That attack killed two Australian tourists, but no Americans. Within a year, however, bin Laden’s men were allegedly in Somalia, training Somalis to bring down U.S. helicopters with rocket-propelled grenades, the method used against American Blackhawk helicopters in October 1993 during an intense two-day firefight in the Somali capital, Mogadishu, in which 18 American soldiers were killed. In 1995 four men who later confessed to being influenced by bin Laden, and to being trained in explosives in Afghanistan, bombed a military facility in Riyadh, Saudi Arabia, killing five American soldiers. Three years later came the bombings of the two American embassies in Africa, attacks that occurred within nine minutes of each other and killed more than 200 people. For New Year’s 2000, Al Qaeda plotted a terrorism spectacular spanning the globe, planning to bomb Los Angeles International Airport, sink a U.S. warship refueling in the Middle East, and bomb tourist sites in Jordan. Those attacks, however, were foiled either by good police work or by the incompetence of the plotters. Then, last October, bin Laden’s followers bombed the USS Cole, one of the most advanced destroyers in the U.S. Navy, as it was refueling in Aden, an attack that blew a hole the size of a house in the reinforced hull of the warship and killed 17 American sailors. Also this summer, a skillfully edited two-hour recruitment tape made by Al Qaeda began circulating in the Middle East and appeared on the Internet. The videotape is not only a useful distillation of bin Laden’s views but also an indication that Al Qaeda was planing additional anti-American operations. This videotape is part of Al Qaeda’s modus operandi, which is to subtly indicate a plot is in the works some months before it takes place–as happened in May 1998, when bin Laden held a press conference in Afghanistan where he talked of “good news in coming weeks.” Nine weeks later the embassies in Africa were bombed. A few weeks before the Cole bombing, a videotape appeared in the Middle East that was notable for two things: Bin Laden was wearing the curved jambiya dagger, typical of Yemen, which he had never previously worn in any pictures, and his deputy, Ayman al-Zawahiri, specifically called for attacks on U.S. forces in Yemen. On the new videotape, bin Laden and his advisers make impassioned speeches about Muslims being attacked in Chechnya, Kashmir, Iraq, Israel, Lebanon, Indonesia, and Egypt; speeches that are given over graphic footage of Muslims being killed, beaten, and imprisoned. For bin Laden, however, the greatest insult to Muslims is the continued presence of Americans in the holy land of Arabia. Bin Laden says: “These Americans brought women and Jewish women who can go anywhere in our holy land” adding “the Arab rulers worship the White House.” The images on the screen show the Saudi royal family meeting American leaders such as Colin Powell. On the tape, bin Laden says Muslims must seek revenge for these insults: “If you don’t fight, you will be punished by God.” The solution, he says, is for Muslims to travel to Afghanistan and receive training for holy war. The tape then shows hundreds of bin Laden’s masked followers training at his Al Farooq camp in eastern Afghanistan, holding up black flags and chanting in Arabic. Bin Laden’s fighters shoot off anti-aircraft guns and rocket-propelled grenades, run through obstacle courses, blow up buildings, and shoot at images of President Clinton. Bin Laden himself fires off some rounds from an automatic rifle. Chillingly, the tape also shows dozens of young boys, most of whom appear to be around eleven years old, dressed in military camouflage uniforms, tackling the same obstacle courses seen earlier on the tape. Toward the end of the tape, bin Laden implies more action against the United States: “The victory of Islam is coming. And the victory of Yemen will continue….” Now bin Laden appears to have made good on his threat.